Celine Herbenson bears little resemblance to the photo snapped back in 2007 when she was a girl in the second grade, meeting her big sister match for the first time. Now she’s a young woman wearing makeup and a dress, and she’s looking forward to her high school graduation this spring. Whatever she chooses to do with the years ahead, chances are good she’ll stay in touch with her “big sister” Heather Phillips. The two are celebrating their 10th year of friendship in Missoula’s Big Brothers Big Sisters program. Herbenson was 8 years old at the time and was midway through the second grade. She doesn’t remember that first day, though she has pictures to reflect on, and pictures often say what words cannot. The nerves of that first meeting have slipped away over the years. Along the way, Herbenson said, her big sister has taught her little “life hacks.” In high-school lingo, she means little skills she can apply in everyday life. Through their activities and time together, the two have become close friends and represent the longest match in the Missoula program. That in itself is an accomplishment, given the program’s history. 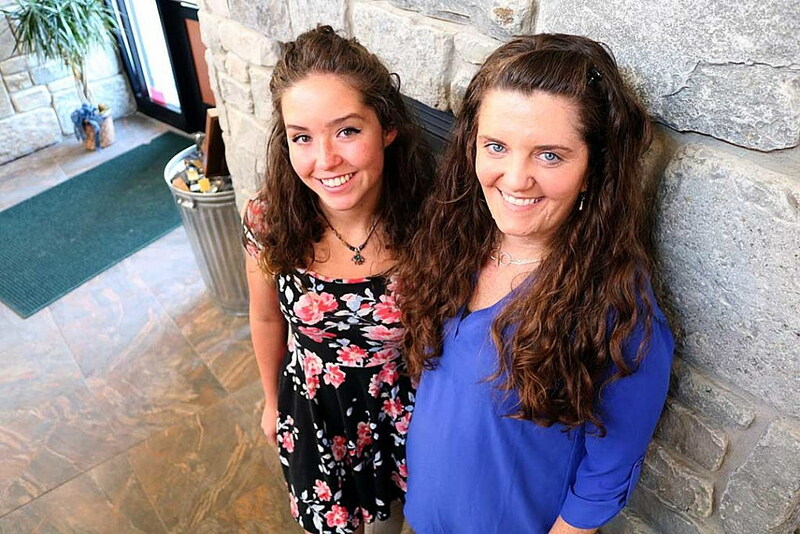 Nicole Martin, vice president of program services, said area youth enter Big Brothers Big Sisters for any number of reasons, from living in a single-parent home to substance abuse or the loss of a family member. While the reasons vary, the child has to want to participate, and the guardian or parent has to sign them up. That staff member was right. While it’s common for most matches to last long term, a 10-year partnership is something rare. The average length of a match is roughly 22 months, according to Martin. Most matches come to an end with the mentor moving away. The need for mentors and funding never ends, and the need for men to mentor boys remains a particular challenge. With her brother Aiden sitting at her side, Herbenson described her goals after graduating from high school. For starters, she plans to get her CNA and pursue a nursing degree from the University of Montana. She also looks to continue painting – something she and Phillips have taken a liking to. Herbenson prefers to paint octopus and calls them “cool creatures.” She has arranged a First Friday art show as part of her senior project. The show will focus on those who participate in Big Brothers Big Sisters. The show takes place on Friday, April 7 from 5 to 8 p.m. at the Deep Tissue Massage Group, located at 725 West Alder Street, suite 20. For more information on the program or the art show, contact Big Brothers Big Sisters at 406-721-2380.